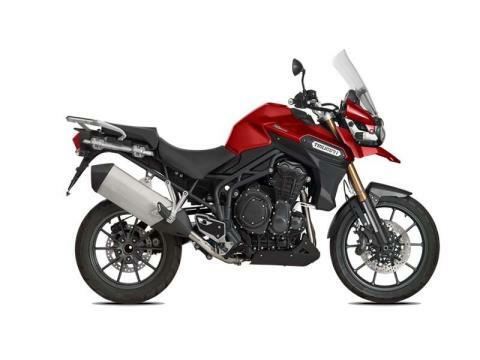 ENGINE: With a potent 1215cc inline three-cylinder engine pumping out a colossal 121Nm of torque and 137PS peak power, the Triumph Tiger Explorer delivers smooth, effortless, efficient high speed cruising at low revs. But with linear, ride-by-wire throttle control and a comprehensive set of electronic systems and riders aids, the Triumph Tiger Explorer is also responsive and free-revving enough to deal with the finesse of riding off-road. 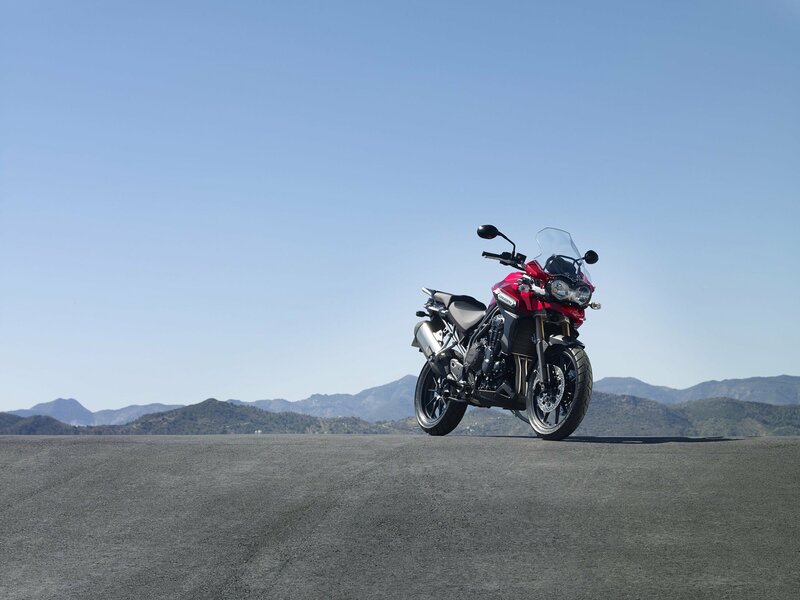 SHAFT DRIVE: For worry-free long-distance touring, the Triumph Tiger Explorer features a low-maintenance shaft final drive system. It means peace of mind no matter how far your adventure takes you. 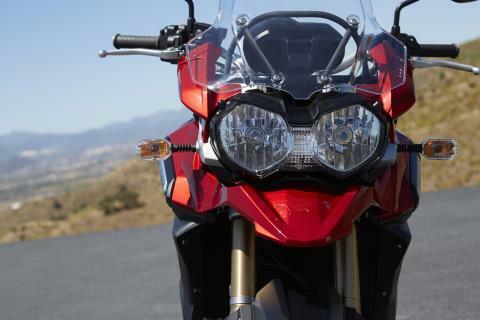 RIDE BY WIRE: For maximum control over engine response and fuel consumption, the Triumph Tiger Explorer features a ride-by-wire throttle system that uses electronic engine management to harness and exploit the engine’s prolific torque output in the most efficient, predictable way. CHASSIS: Modern roads sometimes feel like a bumpy trail, so the Triumph Tiger Explorer’s tough, tubular steel frame layout is specially strengthened to remain secure and controlled while riding off-road or on poorly maintained back roads, as well as meeting the demands of fully-loaded touring at high speed. That’s why the Triumph Tiger Explorer feels just as at home in town as it does on the tundra. WHEELS AND TIRES: With a road-oriented bias, the standard Triumph Tiger Explorer runs on lightweight, 10-spoke, cast aluminium wheels. With a 17in rear and 19in front, the set-up is capable of light off-road riding as well as conventional road riding, and deals effectively with poor road surfaces or rutted paths. BRAKES: Braking on the Triumph Tiger Explorer is handled by a pair of 4-piston calipers gripping twin 305mm discs at the front, backed up by a single 282mm rear disc. 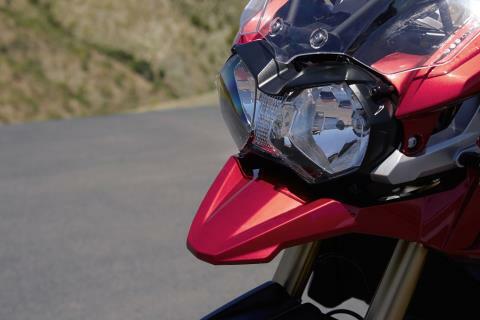 The powerful stopping force is assisted by an advanced ABS, but which can be disabled completely when riding off-road. TRACTION / CRUISE CONTROL: The Triumph Tiger Explorer’s traction control adds confidence in treacherous conditions by maintaining wheel-slip at a manageable level giving you the ultimate comfort and feel. Cruise control is also fitted as standard, easing fatigue over distance and optimising fuel efficiency. SWITCHABLE ABS: The Triumph Tiger Explorer’s sophisticated switchable anti-lock brake system is standard, and can be optimised for off-road use, or turned off entirely. Unnoticeable in normal riding conditions, the ABS modulator works behind the scenes making over 100 calculations per second to make sure it’s there when you need it. IMMOBILIZER: In case your Triumph Tiger Explorer attracts the wrong kind of attention, we’ve added a coded key immobiliser system. It disables the ignition and starting if an attempt is made to turn or force the ignition switch without the presence of the correct, electronically coded, key. INSTRUMENTS / COMPUTER: The Tiger Explorer’s LCD dash and bar-mounted switches make it easy to navigate dual trips, journey time, average speed and fuel consumption, remaining tank range, cruise control info, service intervals, ambient temperature and ice warning, plus tyre pressures and heated seat status (if fitted). 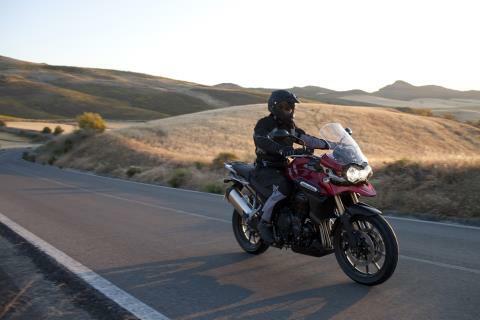 ADJUSTABLE SEAT HEIGHT: The Triumph Tiger Explorer’s commanding riding position suits everyone. A wide, comfy seat is easily adjusted without tools from high (857mm) to low (837mm), or even further with an accessory low seat – so you’re always confident and in control. Handlebars and levers also adjust for fine-tuned ergonomics. 950W ALTERNATOR: Whatever the weather, the Triumph Tiger Explorer’s class-leading 950W alternator has ample strength to power multiple accessories such as spotlights, heated grips and/or heated seats, as well as using the 12v socket to run a GPS unit, heated clothing, or even charge a phone.